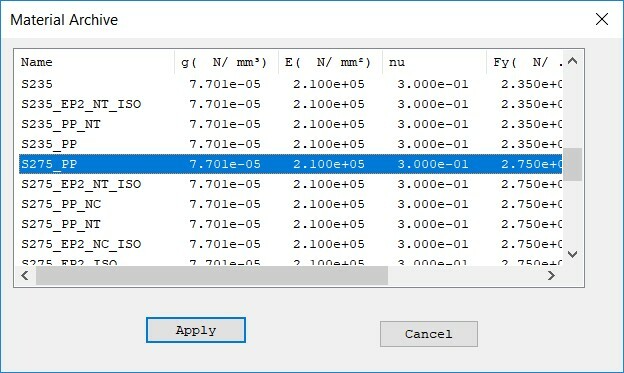 SMA is a quick and easy tool, used to access structural engineering cross-sections, add them as a block in your current document, and choose them according to a number of design criteria. 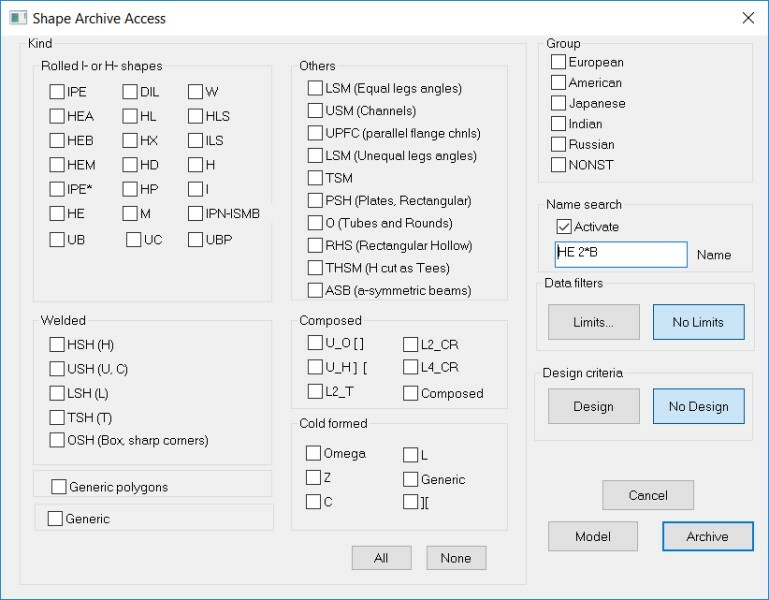 So, SMA is not only a very wide cross-section archive (more than 19,000) but it is also a tool to properly choose them for typical structural analysis problems. SMA may be also used to study the best dimensions of a cross-section, so as to reach some specific design goal. Huge cross-section archive (more than 19,000 cross-sections available). Guided access to archive so as to satisfy design criteria and filters. Tool to design new cross-sections according to structural needs. 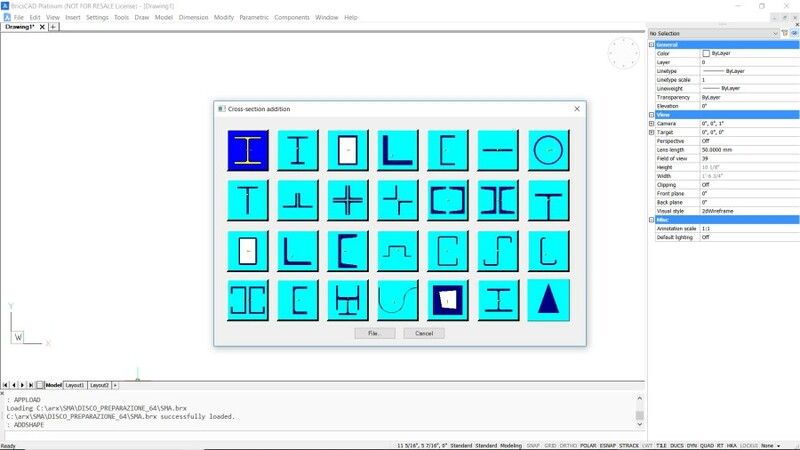 SMA, Shape and Material Archive, is an application designed to work as an extension of BricsCAD©. It is an easy and quick software that extends the capability of BricsCAD©, by providing a set of tools very useful to engineers and architects. As it is well known, steel structures, all over the world, use special steel components usually prismatic, and with special cross-sections. The cross-section shape is optimized for a given design goal, and each cross-section is supplemented by a number of very important numerical data, that are used for the structural checks. These checks are a complex issue, and involve resistance, stability and deformation. Each Nation, broadly speaking, has its own steel structure practice, so, all over the world there is a huge number of standard cross sections. These standard cross-sections have very well defined sizes (e.g. depth, width, thicknesses and corner radii), that should be strictly respected in order to be compliant with the standards. So, for this reason, it is very useful to have the availability of a huge number of these cross-sections, supplemented by their numerical data useful for the analysis and check. SMA not olny provides the cross-section, but it is also a tool to select them properly according to design needs, and allows the interactive modification of free-shaped cross-sections, in order to reach some needed numerical property (e.g. section bending modulus, second area moment and so on). A number of typical structural problems are tackled by specific filters, with the aim of extracting from the archive of all the cross-sections, only those that will comply with the design criteria specified. Albeit this may not be considered a full check for all the possible failure modes (which is usually done in a structural analysis program) it is a very useful tool in order to pre-select or also possibly choose, the proper cross-section for a given design need. SMA not olny provides the cross-sections, but it is also a tool to select them properly according to design needs, and allows the interactive modification of free-shaped cross-sections, in order to reach some needed numerical property (e.g. section bending modulus, second area moment and so on). A number of typical structural problems are tackled by specific filters, with the aim of extracting from the archive of all the cross-sections, only those that will comply with the design criteria specified. 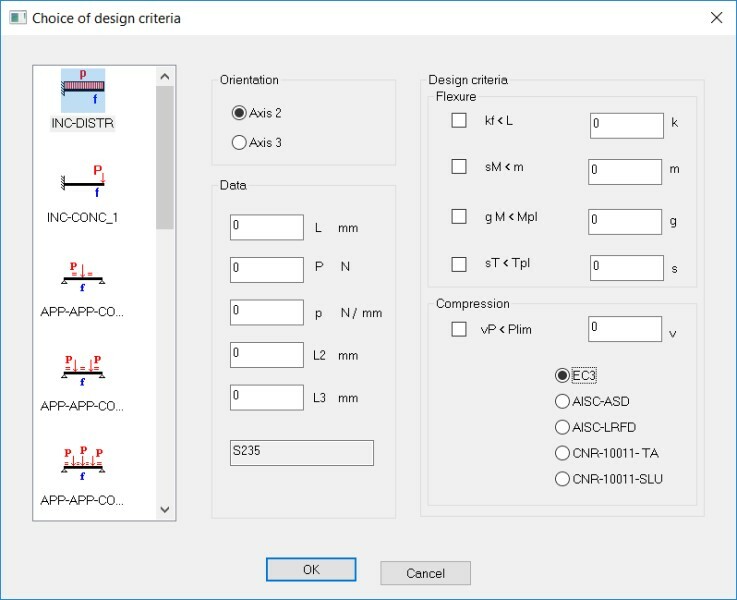 Albeit this may not be considered a full check for all the possible failure modes (which is usually done in a structural analysis program) it is a very useful tool in order to pre-select or also possibly choose, the proper cross-section for a given design need. SMA provides a very huge cross-section archive, exposing to BricsCAD users a number of functionalities that SMA has in common with the structural software produced by Castalia srl, and mainly directed to steel structure designers. At a reasonable cost, SMA provides a very useful tool, for the every day work of engineers and architects. Huge cross-section database supplemented with structural design tools.